Surgical errors can turn routine surgeries into tragic events with life-changing, permanent consequences. If you suffer from permanent disability or were severely injured due to a surgical error, you have options. Medical professionals have a duty to provide the highest standard of care possible; if it can be shown that their negligence resulted in needless and preventable injury, disfigurement, or disability, they can be held liable for their actions. Our surgical error attorneys, serving clients throughout Utah, can help represent your interests in court and see to it that your legal rights are protected. We encourage you to seek legal counsel from our personal injury group today. With decades of experience and the resources of Younker Hyde Macfarlane behind them, they can handle any case and take on any defendant. Hospitals, surgeons, anesthesiologists, and nurses are among the parties that may contribute to surgical errors. Surgery is inherently risky and patients must weigh the risks and benefits before deciding to undergo treatment. However, patients should not have to face undo risk. A doctor or nurse's negligence can interject an unnecessary and preventable element of danger into the surgical process that can end in disastrous results. If a doctor or nurse's actions directly result in injury, illness, disfigurement, or disability, we can hold the liable party accountable through medical malpractice litigation. The attorneys at our law firm can provide you with the counsel required to make informed decisions, and after evaluating your case, and recommend a course of action that will provide you with your best chance at obtaining just and fair financial compensation for your injuries. 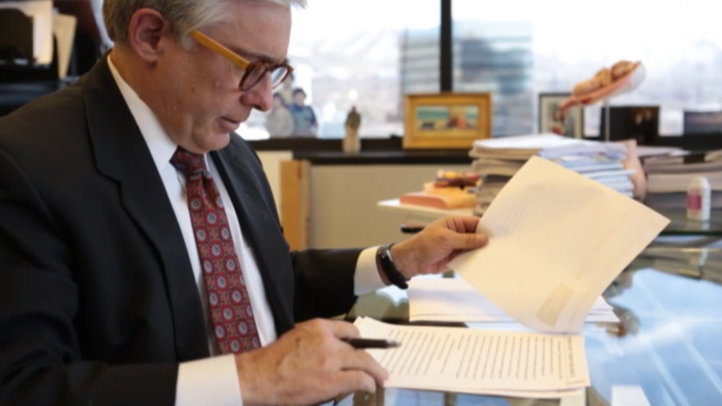 Mr. Norman Younker is a practice attorney who handles surgical error cases in Salt Lake City. A surgical error by a doctor or other medical professional can lead to a variety of medical problems that can last a lifetime. Mr. Younker and Younker Hyde Macfarlane, want to help each client receive compensation for his or her injury. The emotional, physical, and financial costs of surgical errors can be overwhelming. For this reason, our team of medical malpractice attorneys will work diligently to recover the maximum amount of compensation possible for you and your family. At Younker Hyde Macfarlane, our personal injury group doesn't work alone. It can consult with a national network of professionals to strengthen your case. In cases involving surgical errors, damages are usually rewarded for medical costs related to subsequent surgeries made necessary by the original error, future related medical costs stemming from aftercare and continuing treatment, lifetime care costs should the surgical error leave the victim dependent on others, loss of wages, loss of future wages due to inhibited earning capacity or an inability to work, and intangibles such as emotional and physical pain and suffering. It may also be possible to file for punitive damages, which are monies awarded to punish the liable parties for their recklessness. If a loved one has been killed due to a surgical error, please accept our sincere condolences. During this difficult time, our attorneys can guide you through this process and help you file a wrongful death suit on behalf of the decedent. No compensation can replace a loved one but we can ensure that you and your family aren't financially burdened due to the negligence of another party. A loss of contribution and loss of income (especially if the decedent was the breadwinner of the household) can have a severe impact on your quality of life and make the grieving process that much more difficult. Please allow us to help. A number of common surgical errors occur in hospitals throughout the country. The important thing to note is that these surgical errors are preventable. All surgeries carry risk, but through due diligence and experience, the following should never occur. If they do, it may indicate a medical malpractice claim against the involved parties. To determine if any of the above occurred in your case, we must first conduct a thorough evaluation, during which time we'll review all aspects of the case, work with experts, and determine fault. At Younker Hyde Macfarlane, our personal injury group doesn't work alone. It can call on the expertise and experience of our legal team and can consult with a national network of medical experts. In any medical malpractice case, a successful resolution is dependent on showing that the defendant failed to perform a duty owed and did not abide by a reasonable standard of care. By working with trusted, qualified medical experts, many of whom teach at colleges and hospitals and have published text books and training manuals, we can definitively determine if a standard of care was breached. The value of an attorney can be summed up simply: he or she can prove the difference between a successful resolution and receiving no recourse for your losses. The experienced and professional team out our law firm have the qualifications and resources you are seeking. To set up a consultation, please send us a message or give us a call at (801) 335-7025.